Primary acquired melanosis with atypia (biopsy proven). Malignant melanoma can occur on the surface of the eye (conjunctiva and cornea). It can start on its own, as a pre-existing nevus or arise within newly formed pigmentation. Most patients notice either a nodule forming on, or a darkening of the surface of the eye. Large tumors can bleed resulting in “bloody tears.” The tumor can extend onto the eyelid skin and lymph nodes in front of the ear (preauricular) or neck (cervical). Involved lymph nodes enlarge and can be felt (palpable) during examination. The doctor will examine your eyes. This includes an examination of all the conjunctival surfaces (including the inside of the eyelids). Pigmented conjunctival tumors are considered suspicious if they have large blood vessels running toward them, if they extend onto the cornea or if they extend into the conjunctival fornices. Photographs should be taken of all the conjunctival and corneal surfaces at the time of initial examination (prior to any biopsy). This is important because it helps the doctor document the extent of the condition (stage the tumor) and can be used to plan for surgery and aid in follow up. Removing a conjunctival melanoma prior photography and/or referral to an eye cancer specialist can decrease the patients chance for cure. Biopsy can determine whether a pigmented conjunctival tumor is a nevus, primary acquired melanosis, or conjunctival melanoma. A conjunctival nevus and benign acquired melanosis can be photographed and followed for evidence of change prior to intervention. Malignant conjunctival melanoma and intra-epithelial melanoma (in situ) should be removed or destroyed. *Note* In a multicenter international effort to develop a staging system for conjunctival melanoma, the authors agreed that the term Primary acquired melanosis with atypia should be abandoned in favor of conjunctival melanoma in situ. Most very small areas of conjunctival hyperpigmentation can be photographed and followed for evidence of growth or change prior to treatment. If they are raised, hypervascular or extend onto the cornea a biopsy is reasonable. Small tumors can be completely removed, and if they are found to be malignant additional cryotherapy (freezing) or adjuvant topical chemotherapy may be necessary. 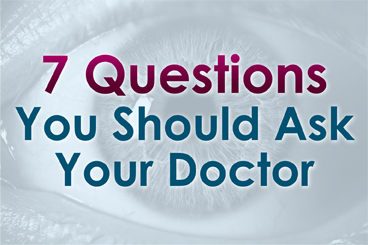 Melanomas can be difficult to treat if they occur at multiple spots on the eye. In these cases, surgical removal with freezing therapy may not control this tumor. Then chemotherapy eye-drops can be used for patients with conjunctival melanoma. Chemotherapy eye drops treat the entire surface of the eye, and is less dependent upon defining the tumors edges.